Once teachers hold a valid teaching license for Virginia, they will need an endorsement in ESL to solely teach students learning English as a second or other language. 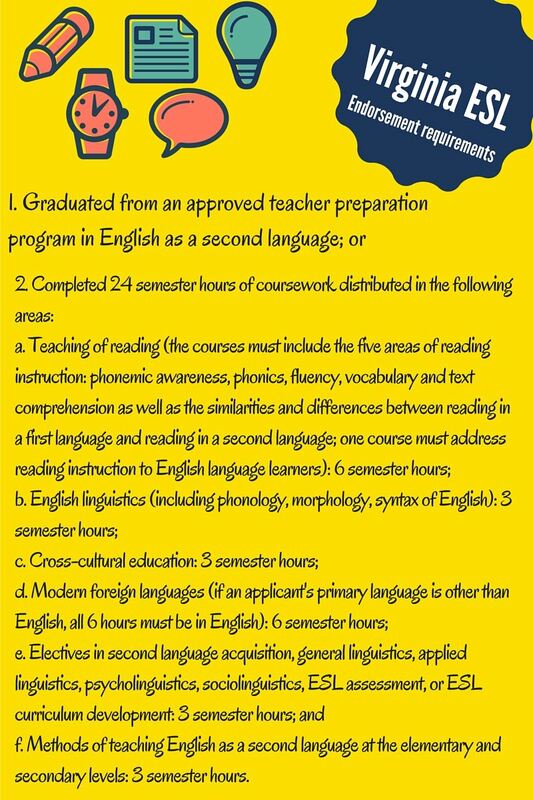 For more information, see the initial licensure information here and specific endorsement requirements for ESL are below. If you are a current member, go to the MEMBERS AREA. You MUST BE logged in. If you are not a VATESOL member, we will still distribute your job notice to the VATESOL membership at no charge, although this is always subject to change. Please contact us for more information.